Kids’ bicycles also known as training, running, or balance bikes tend to have no pedals. 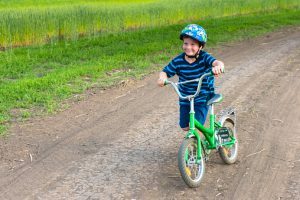 No matter what you want to call it, it’s a classification of two-wheeled bicycles that allows children to kick the ground with their feet to move forward. 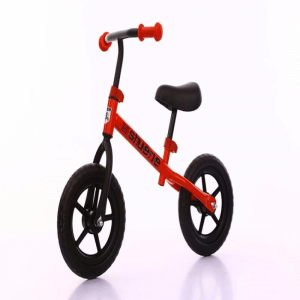 There are different models of bicycles for kids available on the market, and it might be difficult for some parents to choose the right variant for their child. If you’re having problems or difficulties in searching for the small bicycles for kids, then you’ve come to the right place. Perhaps you’re looking at the market for bicycles for a 2-year-old or a 5-year-old child. We’re going to introduce the best kids’ bicycles in a ranking format, and you can even see the advantages and price of each kids’ bicycle. We’re also going to tell you how to choose a children’s bike with our helpful guide. First, let’s take a look at some points of consideration when you’re choosing a bicycle for your child. There are different factors to ponder on like the user’s age. Let’s take a look at some of these points to find the perfect bike for your kid. You should always check the rider’s age before proceeding with your search for the ideal bicycle. It’s safe to assume that most kids will start riding bikes somewhere between the ages of 2 to 2-and-a-half years. Aside from that, you should also consider the height of the child. Even if the kid is already at the right age, he or she might not have the right height. Choose a bike that allows the rider to plant their feet firmly on the ground when needed. The child should also find it easy to kick their feet off the ground to move the bike forward. It’s important for the child to easily touch the ground with their feet when they’re riding their bikes because many models don’t have brakes. As a parent, you’ll also have peace of mind knowing that your kid can easily stop the bike when the child can easily stand even when they’re riding their bicycles. Adjusting the handle and saddle of the bike can also help the bike accommodate the height of the child. Kids’ bicycles may or may not have brakes. Many adults think that it’s always better for their child’s bike to have brakes. However, if the bicycle can easily accommodate the child’s height, then a brake may not be needed because the kid should easily put their feet on the ground if they wish to stop moving. Also, many brakes require a reasonable amount of force for it to properly operate. It can become difficult for children between the ages of 2 to 4 years old to supply the necessary amount of force to operate the brake. It’s in this regard that there’s some merit to choosing a children’s bike without a brake. Still, it doesn’t mean that you shouldn’t consider choosing a bicycle with a brake. There are some children’s bicycles that already have a similar structure to a standard bike. If you choose a model with a design close to the traditional bicycle, then consider purchasing a model with a brake found at the handle. Letting your child use their bikes on public roads is very dangerous. Families with gardens or households found in quiet residential areas make it easy for their children to use their bikes on open roads without much worry of incoming traffic. However, that’s not the case for everyone in the country. Choosing a lightweight kids’ bicycles allows parents and guardians to easily carry the small vehicle to parks and other recreational areas where their children can ride freely and safely. A lightweight bicycle also makes it easy to put it away for storage. Lastly, children’s bicycles that aren’t heavy makes it easy for the child to put it back up in an event of a fall. As a result, it minimizes worry from parents, and it also lowers the risk of your kid getting badly hurt in the process. Storage can become difficult for some kids’ bikes. Many models don’t have a built-in stand. Bicycles without the accessory can become difficult to put away, especially when you’re just going to leave it outside. If there’s enough room in your house or in the area where you can easily put the bike away for storage, then a bicycle without a stand may still be a good option. However, if there’s no such place, then it’s best to choose a children’s bicycle with a stand. If your chosen bicycle doesn’t have a stand and you want the vehicle to have the peripheral, then you can get the stand as a separate purchase. 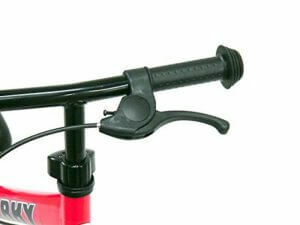 Keep in mind there are different models of bicycle stands on the market like the rear kickstand and stationary stands. 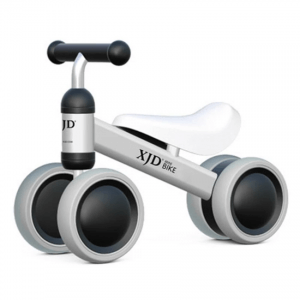 If the bike already has the stand as part of the package, then it’s going to be convenient for your child since they can easily place the bicycle at a nearby corner without worry of the bike falling down. Search across the market and you’ll notice that most kids’ bicycles don’t have pedals. However, there are some models that allow for broader age range as compared to the traditional children’s bike. As a result, you’ll see these bikes to come equipped with pedals. Kids’ bikes with pedals make it possible for parents to get ready for their child’s growth without having to buy another bicycle in the near future. If you don’t mind spending the extra cash to buy another bike in the future for your child, then you can purchase a kids’ bicycle without pedals. However, if you want to save money, then choosing a kids’ bicycle with pedals might be on your next shopping list. From this point, we’re going to introduce our top recommended kids’ bicycles in a ranking format. We’ve considered the factors found in our “Buying Guide” section when we selected the items on this list. 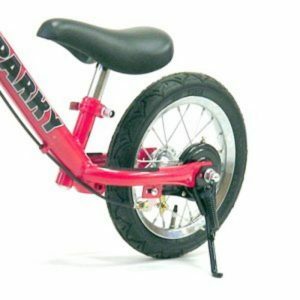 This children’s bicycle assures its owners and users that it can properly deal with more than just a few minor bumps and scrapes. First. this bike has a durable steel frame. That’s not all because the EVA polymer tires are also tough to the point that they don’t need any maintenance. Other important features include built-in footrests for tricks and a light weight of 6.7 pounds. It’s an ideal choice for kids from 18 months to 5 years old. The package doesn’t have training wheels or pedals, so you might have to support your child if they still have trouble with their balance while they’re riding this bike. Still, it’s going to be a long-term investment, especially if you’re planning to have more kids in the future. 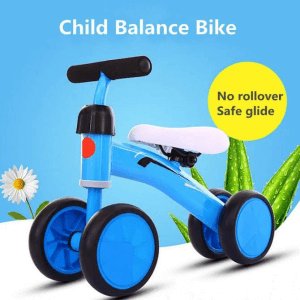 If you want your baby to start learning how to balance and have fun at the same time, then you should consider getting this balance bike for infants. This product is a bike and a baby walker in one package. It doesn’t have a foot pedal nor handlebar brakes. Nonetheless, its durable and stable design helps children of 1 to 2 years old in learning to walk and balance. This product is, however, not as lightweight as other similar products on the market. It has a gross weight of 5.7 pounds, but its moderately heavy weight (for an infant) means your child can’t pick it up or throw it around (which might otherwise cause some accidents). This child’s bike is meant for infants of 1 to 2 years of age. This children’s bicycle has a user-friendly design for safe and fun riding for kids. It’s also a great choice for riders of 5 to 10 years old. The product even comes with a safety protective sleeve on the handlebars to prevent hard bumps should your child accidentally hit their head on the handlebar. Other important safety features that come with this bicycle include anti-skid explosion-proof tires, a responsive and sensitive brake, and a durable 18-inch kickstand. You can even attach the included training wheels if your child needs additional help with balance. 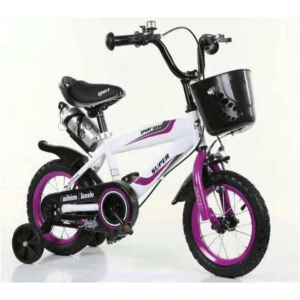 Get this bicycle when you want to introduce two-wheeled bicycle-riding to your kid. This kids’ bicycle put the word “balance” in balance bikes. 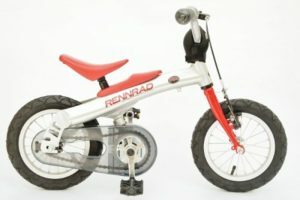 The manufacturer made it possible to create a proportional design for their product’s tires that offers great balance and stability for its young riders. It also offers puncture-resistant EVA tires to enhance safety and stability during rides. Aside from the tires, this bike also has great features like a lightweight 5.95-pound design. 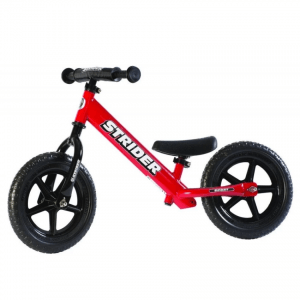 Ultimately, this product presents an easy and safe transition of your 2 to 6 years old child from kids’ bikes to pedal bicycles. Also, it has a carbon steel frame that’s highly resistant to rust for great longevity. This kids’ bicycle comes with additional conveniences for the young rider. The package comes with wearable protective pads, a water bottle, tools for assembly, a basket, attachable training wheels, and an air pump. Unlike other kids’ bicycles on the market, this model comes with inflatable rubber tires. If your child isn’t too careful during his or her rides, then an occasional puncture might take place in the tires. Even though the tires might have some caveats, the soft material makes it easy for kids to climb steep surfaces during rides. Also, the Hi-Ten steel metal frame is durable enough to withstand the usual bumps and scrapes. Get this kid’s bicycle for a young girl of up to 3 years old. Most kids’ bicycles you see on the market mimic the design of their full-sized disembarking, but this product brings a unique frame that encourages easy mounting and disembarking. This model has a deep “U frame” design so its riders don’t have to raise their legs too high before they can properly take a seat. 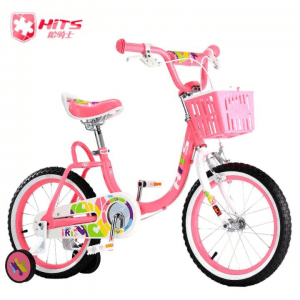 Aside from its unique frame design, it also has other pleasing features that may attract the attention of young girls like a detachable basket and a rainbow look scattered across the entire bicycle. It also comes with non-slip, high-carbon steel alloy wheels to provide safety for riders. 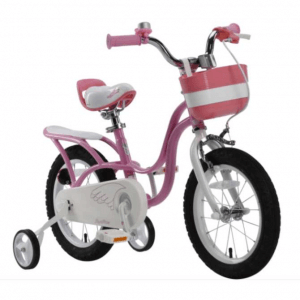 Its pink color and dainty charm make this kids’ bicycle a great choice for little girls. This bicycle is a bit on the heavy side because it has a total weight of 25 pounds (with all the accessories attached). Hence, your child might ask for assistance if its time to put this product away for storage. It also comes with 2.4-inch rubber tires, training wheels, a rear carrier, a fully-enclosed chain guard, and anti-slip grips. Additionally, it comes with a little bell so that your child can alert the people in the area if she wants to pass through. Lastly, its steel frame has a good level of durability and longevity (with proper cleaning and maintenance, of course). This children’s bicycle has dimensions of 29.5 x 22.04 x 19.69 (22.04 max) inches and a weight of 6.6 pounds makes it have the right size and weight for outdoor trips. It does have a reasonable weight, but it can still easily cater to kids up to 66 pounds of weight. With its measurements, you can easily place it inside the trunk of your car without taking up too much space. 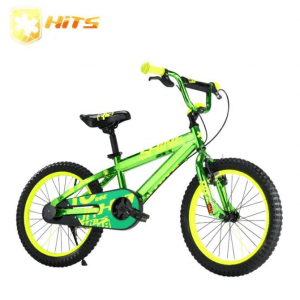 Let your kid of 2 to 5 years old enjoy fun and safe outdoor play with this bicycle. 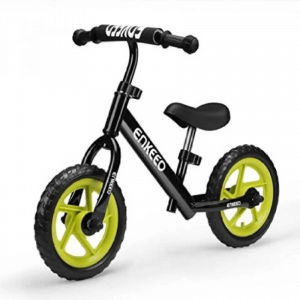 It even comes with maintenance-free EVA tires so there’s no worry of getting these parts damaged even when your child decides to ride over rough terrain. The metal frame is also durable enough to withstand many bumps, scrapes, and the occasional falls. 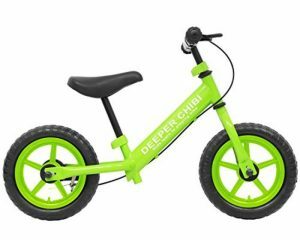 If you want to let your child learn the basics of balance, coordination, and steering at an early age of 1 to 3 years old, then you should heavily consider getting them this kids’ bicycle as a present. First, the steel and PP frame can last a good long while which means you can give this to your next child in the future. It even has puncture-proof and maintenance-free PP and EVA tires. All of its great features come at a very reasonable price point, especially if you consider some balance bikes on the market for infants that go above the ₱ 5,000 mark. How did you like our list of the best kids’ bicycles you can buy today? You can always go back to our guide whenever you’re looking for a bicycle for your child. Always consider the best in usability and safety for your child so that your little one can happily and safely play with their friends with their new bike.